To be introduced to any targetted person of department of the Commission or the E.P. 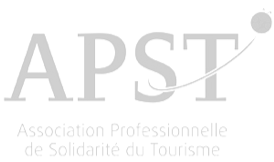 Formed in 2011 by 3 organisations for financial protection of travellers Egfatt includes members from Belgium/Luxemburg, France, Nederland, Ireland, Switzerland, UK and Norway. Our common goal is to protect the traveller against the financial insolvency of package operators and share best practices and experiences. Download extra information about EGFATT or open files directly in your browser. Egfatt en visite à Malines. Fonds de garantie : seuls 10 pays européens en sont dotés! * The information contained in this website is for general information purposes only. The information is provided by the members of EGFATT and while we endeavour to keep the information up to date and correct, we make no representations or warranties of any kind, express or implied, about the completeness, accuracy, reliability, suitability or availability with respect to the website or the information, products, services, or related graphics contained on the website for any purpose. Any reliance you place on such information is therefore strictly at your own risk. Through this website you are able to link to other websites which are not under the control of EGFATT. We have no control over the nature, content and availability of those sites. The inclusion of any links does not necessarily imply a recommendation or endorse the views expressed within them. Every effort is made to keep the website up and running smoothly. However, EGFATT takes no responsibility for, and will not be liable for, the website being temporarily unavailable due to technical issues beyond our control. EGFATT recommends checking the exact and punctual guarantee status of a travel organization by contacting directly the concerned member Fund, by e-mail or by phone (click on the member’s logo).